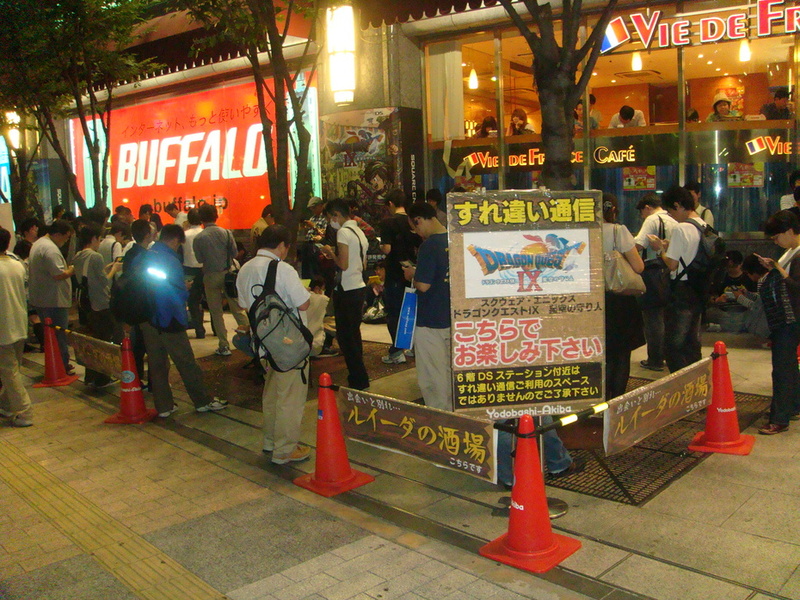 Reasons I love All Japan news #7: people of all ages playing games in the public space. Dragon Quest IX was one of the biggest games last year in All Japan news, with many events where people could download special items and additional quests to their Nintendo DS. Took this picture outside Yodobashi Camera in Akihabara. 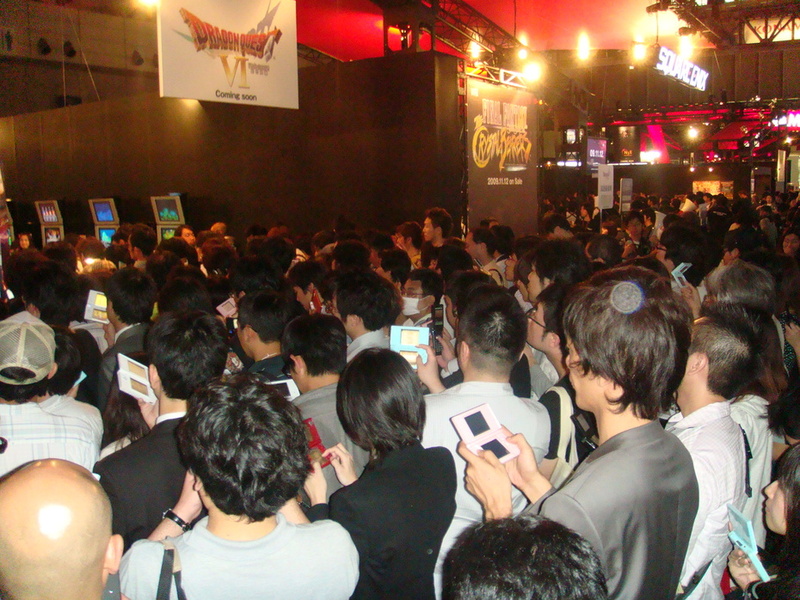 Tokyo Game show 2009. Less surprising to find a large congregation of people with a Nintendo DS here, but still a great display of the dedication to gaming.